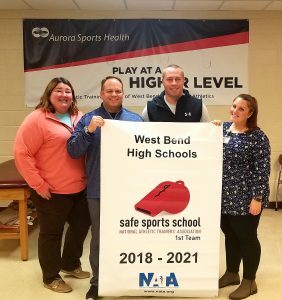 The West Bend School District in partnership with Aurora Sports Health is the recipient of the National Athletic Trainers’ Association (NATA) Safe Sports School award. 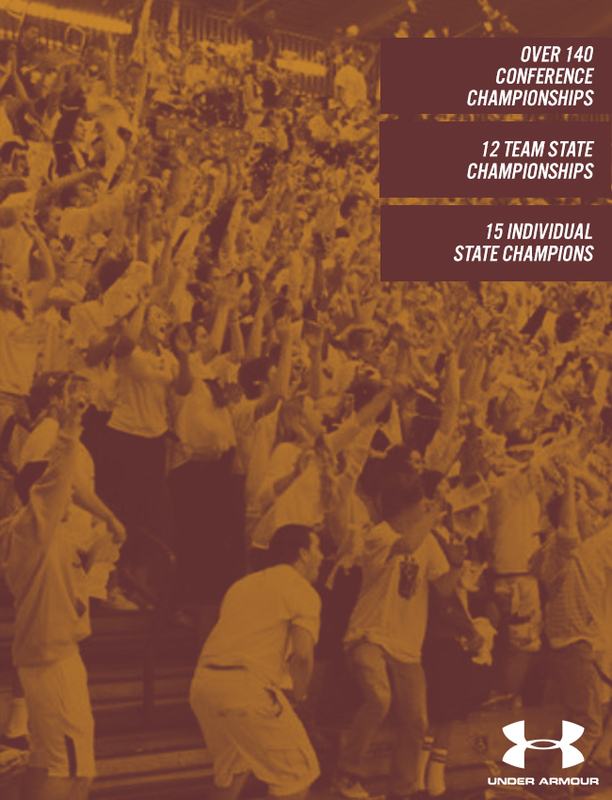 The award champions safety and recognizes secondary schools that have met the recommended standards to improve safety in sports. The award reinforces the importance of providing the best level of care, injury prevention, and treatment. 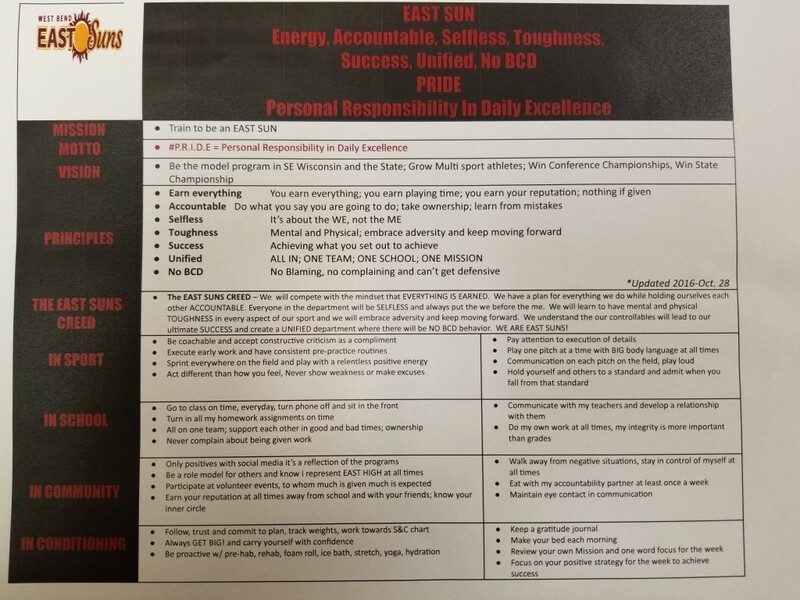 To qualify for the Safe Sports School award, the athletic program has to complete an in-depth questionnaire that assesses adherence to best practice standards and recommendations. For more information about the Safe Sports School Award, please visit www.athletictrainers.org. Athletic trainers are health care professionals who specialize in the prevention, diagnosis, treatment, and rehabilitation of injuries and sport-related illnesses. They prevent and treat chronic musculoskeletal injuries from sports, physical and occupational activity, and provide immediate care for acute injuries. Athletic trainers offer a continuum of care that is unparalleled in health care. The National Athletic Trainers’ Association represents and supports 45,000 members of the athletic training profession. For more information, visit www.nata.org. At Your Own Risk is NATA’s public awareness campaign designed to educate, provide resources and equip the public to act and advocate for safety in work, life, and sport. 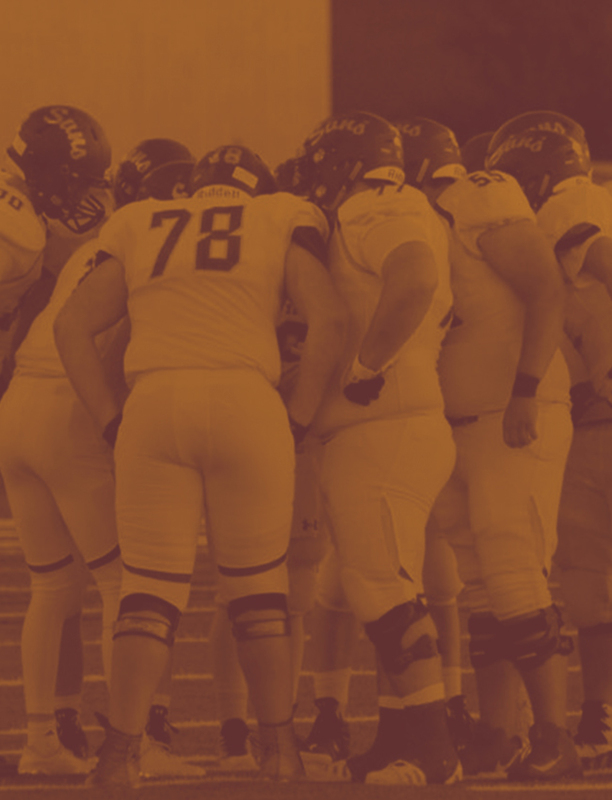 In an effort to provide comprehensive information, the association has launched a website that provides recommendations on keeping student athletes and communities active and employees safe on the job. Visit AtYourOwnRisk.org.